In the first week of the Spiritual Exercises, St. Ignatius of Loyola proposes a tool that he calls “Daily Particular Examination of Conscience.” This is where we look at one specific sin or bad habit that we are trying to eliminate, and we monitor our progress in how we are doing. He suggests that we make a type of chart where we can keep track of how well we have done that day and where we can look back over the week to see whether we’re making headway or not. My tendency is to look at all my sins and weaknesses and get overwhelmed by them, so St. Ignatius’s advice to choose just one at a time to focus on is very helpful to me. I was so thankful to God for narrowing down the focus on just two of my faults. Instead of trying to repair or tackle everything at once, which is a temptation I easily fall into, I only had to look at two. Since this happened early in my retreat, the rest of my prayer proved very fruitful as I could see themes emerge and notice specific graces God was giving me to grow. When my retreat finished and I got back into the usual busyness of life, I looked for a way to keep the fruit of my retreat alive. I remembered St. Ignatius’s Particular Examen and knew that could help me. And a specific way I found to implement his idea is in my bullet journal. 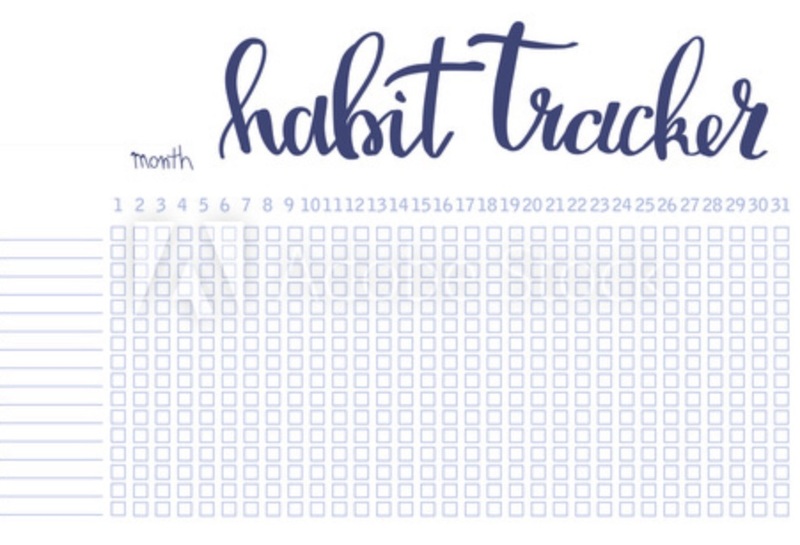 One popular spread that many people use in their bullet journals is called habit trackers. If you do a quick search for habit trackers, a myriad of images and charts will pop up. Basically, they are charts to keep track of either a good habit you are trying to cultivate or a bad habit you are trying to eliminate. At the end of the day, or twice a day if you are so led, you go to that page in your journal and put a check mark next to what you are keeping track of. For example, some good habits might be exercising, taking vitamins, and spending time reading. Or you can do it the other way, more like St. Ignatius suggests, and keep track of a sin you are trying to eliminate, like when you gossiped, complained, lost your temper, wasted time on social media, etc. You put a check mark there, and at the end of the month, you can see if the checkmarks got less. It keeps you accountable, and you can see your progress or your lack of progress. Instead of looking at all our sins or areas of weakness at once, we narrow it down to one or two and filter the day through that. I’ve found it to be a great way of actually improving some concrete area of my life instead of succumbing to a general feeling of disappointment in myself, which leads to paralysis and giving up. When we see ourselves making headway with one thing, it can spur us on to grow in other ways as the Lord shows us what next to focus on.